We have 750+ miles of mountain bike singletrack in the Gunnison Valley. Our trails are some of the best in all of Colorado. For close to 50 years now, we’ve been building trail all over our mountains. Anywhere you can get on two wheels. We’re not done yet, but we’re proud of what we’ve built so far in the home of mountain biking. Beginner trails like the Lower Loop. Expert trails like Doctor Park. Downhill trails like the 30+ miles of riding at Evolution Bike Park. Cross Country trails like Deer Creek. Desert trails including the whole red rock system at Hartman Rocks. Alpine trails like 401. Mountain bike trails for days. Or for a whole summer of riding. Plan your trip to the home of mountain biking. Get the free CBGTrails Map App! We have just released new native versions of the CBGTrails app complete with TrailQuest. Find the map app in the app store for your device. We built this part of our website to be an online guide book of sorts to the mountain bike trails in the Gunnison Valley. Maps. Photos. Descriptions. A little taste of what it’s like to ride some of the best trails in the world. Use the “Trail Areas” page to select from 11 individual sub-regions of trails. For each region, we’ve provided info on our favorite trails and TrailQuest strategies for each as well as some photos and videos for inspiration. 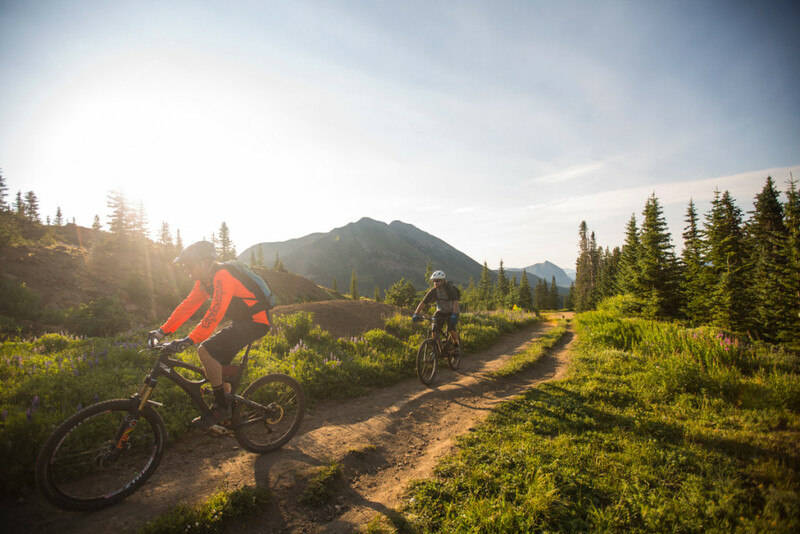 While the trails may be inspiring your trip, we know you’re not just coming here to mountain bike. You’re also here to experience the vibe in Gunnison and Crested Butte. You may also be trying to figure out where to stay. We’ve helped you out. Check out “The Scene” for info on the apres scene and bike shops. Use Plan Your Trip” for all of the logistical details. Head over to “Mountain Biking” for more on our unique history. Just looking for general inspiration? Our blog actually has some pretty great stories on it. We promise we don’t overdo it with the emails. We typically send out about one per month in the summer and you’ll get them less frequently in the winter. You can also unsubscribe at any time. However, it’s the best way to stay up to date on mountain bike events, fun content, videos, and contests we run through TrailQuest. If you’re interested in occasionally hearing from us, subscribe over in the sidebar.